Cebu is a wonderful place, as such that it is also near to some of the most charming islands I have ever visited. It's not a secret that when I travel to some of the best known destination in the Philippines, I seek the one's with beautiful beaches, and those with opportunity for snorkeling adventure. I'm such a sucker for underwater fun ever since I learned to snorkel without wearing vest or flippers. That feeling of buoyancy while in water, the freedom to move freely without inhibitions, that moment when I hold my breath and dive down to get a closer look at some of the best coral reefs that we are proud of, these are just some of the junks I seek out. Bringing my own snorkeling gear, and the investment I made with an underwater camera over 6 months ago, I have become a witness to how pristine and fragile is our own backyard of underwater world. 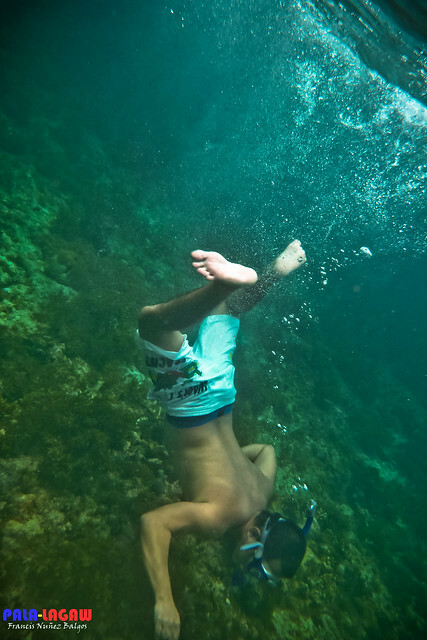 Signing up for snorkeling activity while in Malapascua Island is a good past time other than lounging in it's sandy white sand beaches and watching lots of foreign back packers enjoy this laid back beach. I can't compare it to any other locations, it has a charm more on its own, I'm just taken aback by the realization that more foreign tourist would have known the historic island of Malapascua than the local one's like myself. 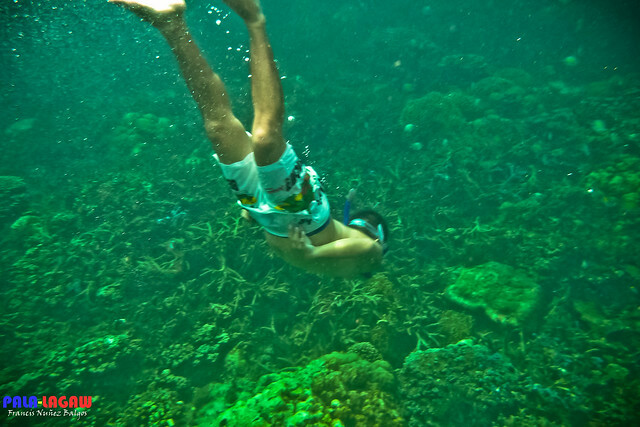 The snorkeling activity is about 3 hours, hopping on 3 locations surrounding the island. At the end, you'd have made a full circle tour of the place with the finale at a place they call Marine Sanctuary. 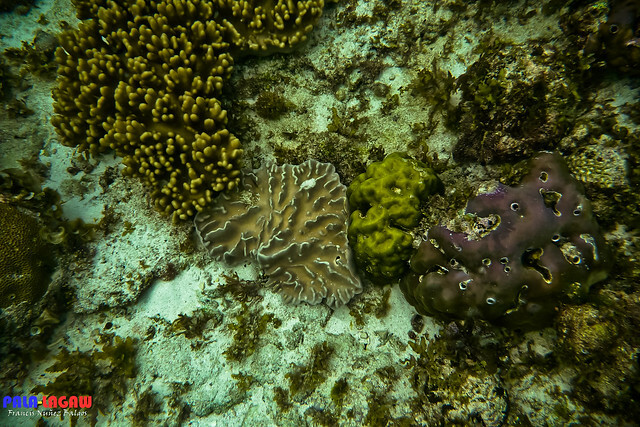 A sanctuary that is, about 20 feet deep and laden with some of the riches and most diverse coral gardens I've ever seen. These shots here are a lot more closer to shore, as the white sand creates a startling contrast against the colorful marine life. Snorkeling here is a standard rate of Php 1,500 as I am with 2 other friends, that makes it 500 for each of us. However, I got a discount of Php 150 because I'm using my own snorkeling gear. As part of the fees, the boatman rents the gear for the same amount. So if you have the intention of visiting Malapascua island off the coast of Cebu, better bring your own gear, saves you money and more so about the hygiene, one can't tell about who was that last person who had used that gear. 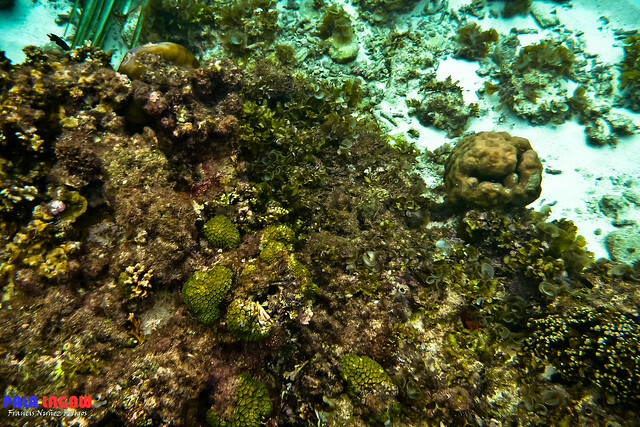 This photo above is shot in the final location, the Marine Sanctuary. It proved to be challenge for me, as Habagat is raging all across the Philippines, here I was, braving strong currents to enjoy this beautiful site. I have heard of Malapascua, aside from fellow travel bloggers who had been here, but more to the publicity it garnered being synonymous to divers as haven for Thresher sharks. It's best to visit the island, when you are with many friends tangling along. As is, the fee I paid for the snorkeling is already overpriced at Php 350 considering that we've only visited 3 sites. 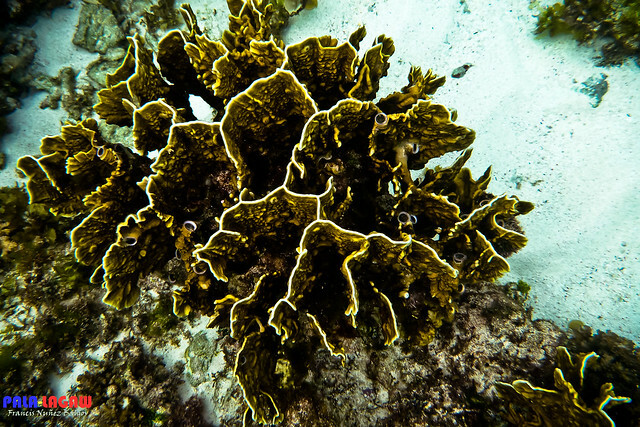 More of discovering Malapascua in my upcoming post, How to get there, What to do and the accommodations. Remember that you don't have to spend much in here, the island is a back packers haven, very friendly to a Pinoy working class like myself. it would be better also if you are wearing fins, imho. buti nlng may dala kang gear mo. dyahe nga yung makikirent ka lang. Unfortunately, I can't take photos of myself underwater.. So I normally ask friends to take it on my behalf. 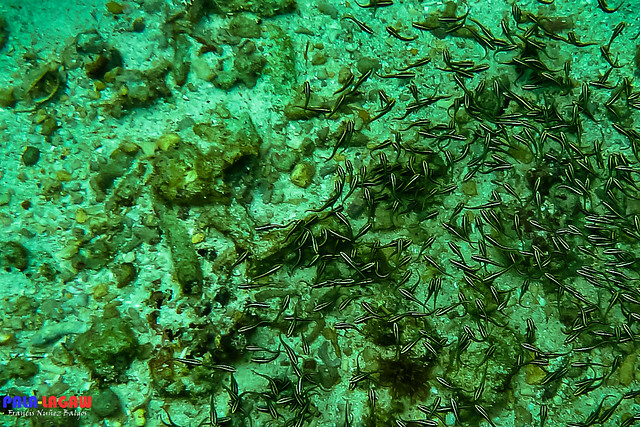 It's thanks to them really, I get a few photos of myself while snorkeling. Would you be interested in writing atrading guest blog post on our blog, OneTravelBloggers.com http://onetravelbloggers.com/? We are a PR 3 blog whose audience enjoys reading anything about travel (e.g. “Best spots in Philly”, “Top 10 beaches in Spain”, “How to travel around Tokyo on a budget”, etc). And, of course, you’ll receive a FOLLOWED link to your blog or page of your choice. wow! that is just so awesome.. please excuse the overreaction, i can't swim so, i'm starstruck with people who can, lol! very nice shots.. The photos are so crisp and it felt like we were right there swimming with you and enjoying the marine sanctuary. The beauty of the underwater world... epic! I love to go there ang ganda lang! nice shots! made me want to pack up and go to that place and dive. ganda ng place! This is great! One of my fave destination in North Cebu.Been there on 2010 and 2011. Malapascua never failed to amaze me- ganda! 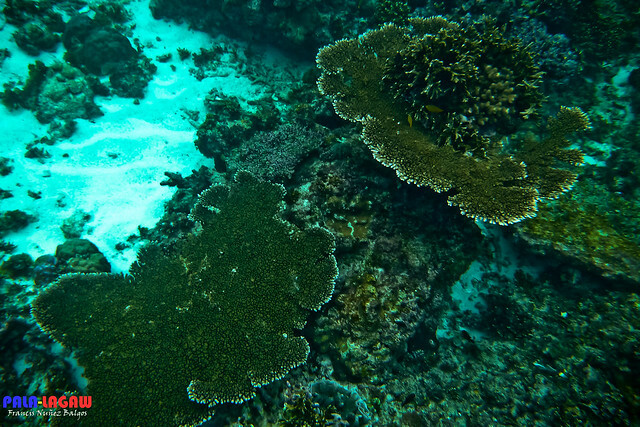 So great to see underwater wonders like the coral garden. Just awesome. I envy you for having the guts to dive with only a snorkel. I'm so afraid of deep sea diving. Wow! 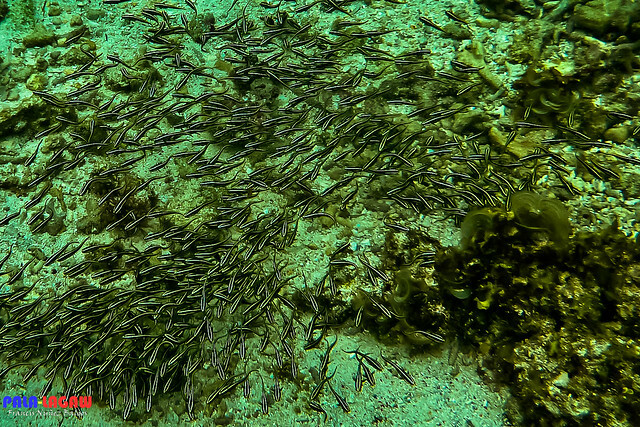 Underwater photography is one of my frustrations. Aside from not having an underwater camera or a cover for my DSLR, probably the nearest body of water I could go to is the Manila Bay. Oh wow! What a nice diving site and I love the photos here, i wonder who's taking the shots..
Eascinating underwater photos. Kakaingit ka bro. Cebu is so near sa Liloan, Leyte. Next time na magawi ako riyan,subukan ko rin ang snorkeling. Wow, vis is good. It would be a good diving day. How about the current? If I am planning to dive, is this going to be an easy dive?